Over the past couple of months, I've been getting more and more serious about my fitness levels. I started going to the gym and am eating better. Okay, I've not quite put the chocolate down, but I'm eating better than I did before, and more in moderation, so you know, it all helps eventually. But going to the gym has been one of my favourite things to do. I thought it would end up feeling like a chore and I'd hate going, but it's so exhilarating. It feels like I've finally been given some 'me time' back, especially so now that the littlest has started pre-school. Most famous for her appearances on CBBC, Katie Thistleton is a woman of many talents - just ask her booking agents! The frontwoman for many BBC projects joined the CBBC team in 2013 and has gone from strength to strength since then. With stints on Blue Peter, Jedward’s Big Adventure and Sam and Mark’s Big Friday Wind Up she’s a familiar face to youngsters and parents up and down the country, and recently co-presented a programme marking 30 years of CBBC. 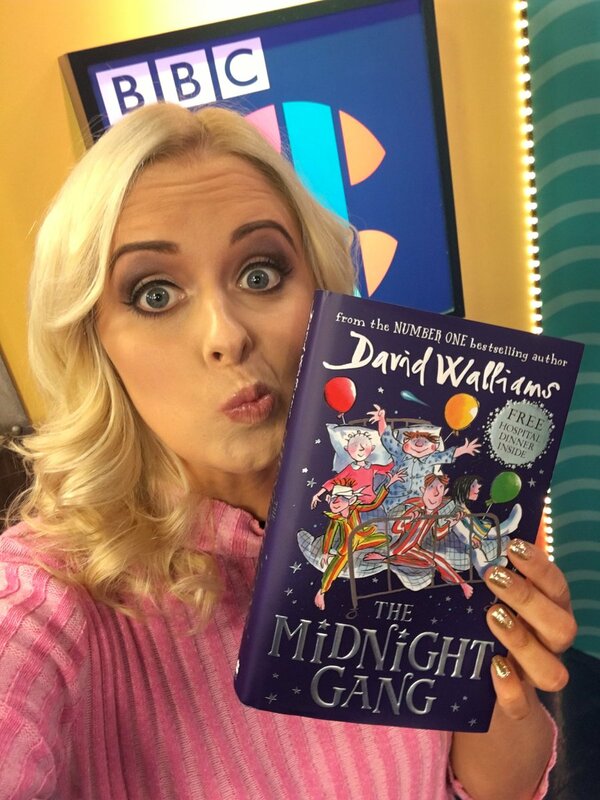 Her personal love of reading and interest in books has always shone through in her work, and she presents The CBBC Book Club, which airs on Sundays and sees her interviewing some of the biggest names in kids books. Being from Yorkshire, I love nothing more than championing Yorkshire brands, and so when Vale of Mowbray got in touch, I knew straight away that I'd want to try out their wares. 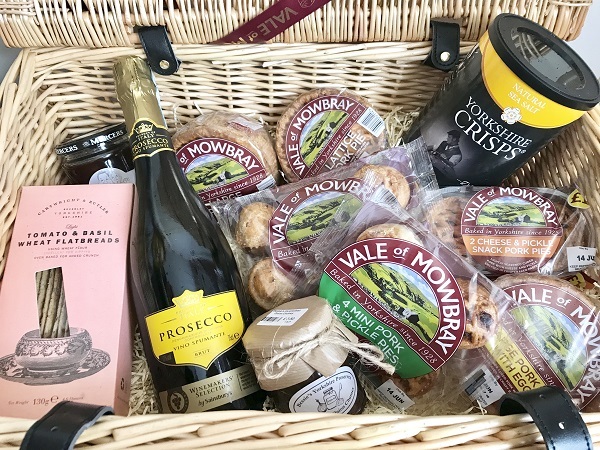 Vale of Mowbray are a pork pie brand and have been baking and brewing delicious things for over 2 centuries. Over the past years though, they've stopped brewing so that they could achieve the perfect bake, making every pie even scrummier. From snack pies, to large ones, and even the giant Grosvenor with is complete with eggs, they have a whole range of pies, and flavours available for everyone to tuck in to. A few months ago, we decided that it was about the right time to get rid of J's pram. He likes walking most of the time now and so we thought that he might as well start walking with us rather than being sat in the buggy all day whilst we are out places. 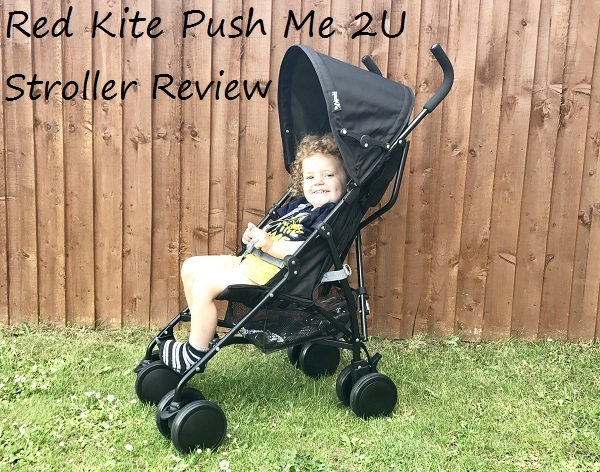 When we were planning our trip to Scarborough, we realised that he would probably need a buggy whilst there because we'll be going places that are quite far away, doing a lot of walking, and he might even need to nap at some point too. This meant that we had to start looking for a little buggy again. Improving your home is something most people get around to sooner or later. 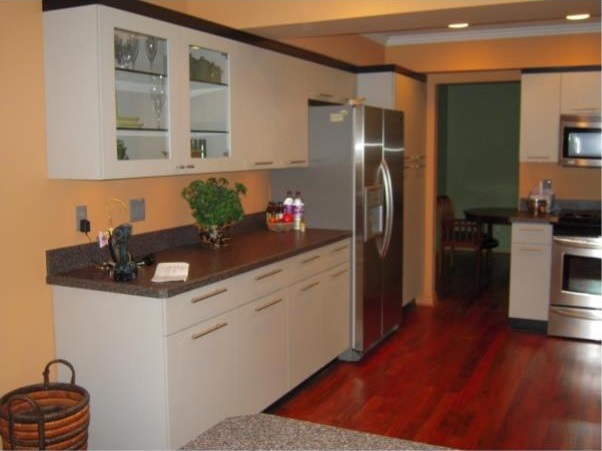 It not only enhances the environment you live in, but adds value to your property. From replacing an existing kitchen with a more modern alternative, to giving the living room a new lick of paint, there are plenty of home improvements we can do to improve the condition, look and functionality of our homes. Balustrade Components, specialists in supplying high quality fittings and fixtures for balustrades, explores the top five popular home improvement projects homeowners embark on to give their home a stylish makeover. People invest in underfloor heating for a whole host of reasons, including comfort, the creation of more space, and increased efficiency, just to mention a few. During a chilly day, who would want to miss the opportunity of touching a warm, cozy floor when you step out of bed? 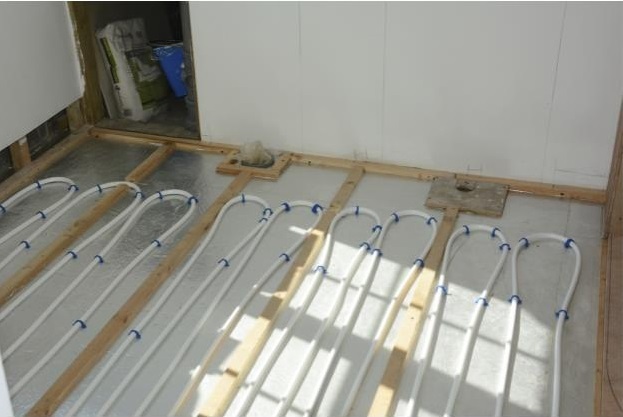 If you are thinking about taking the plunge and investing in underfloor heating, Underfloor Heating Trade Supplies, suppliers of high quality underfloor heating kits, takes a look at ten things you should consider before investing in underfloor heating. Living on a shoestring budget doesn't mean you have to give up the little pleasures of being a woman. You can pamper yourself and look your best without spending any money. Free makeup may sound like a nice perk to some, but to beauty junkies, this can make the difference between a normal life and bankruptcy. Beauty-obsessed women are always going to spend their last dime on the latest liquid lipstick, the newest eye shadow palette or the latest revolutionary cream that can help her fight the first signs of aging. This leads to a situation in which the makeup bags of these girls are overflowing with lipsticks, blushes and other products, while their wallets are empty. These girls know the price of their addiction, but some of them have no idea they can get lots of cosmetics for free. Many reputable brands offer free makeup throughout the year, so you may never have to buy such products again. 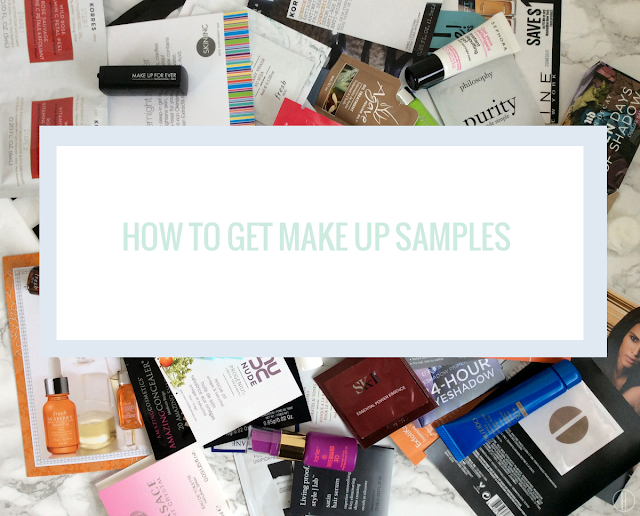 These freebies aren't just samples you can only use for one week or so. They are full size lipsticks, facial masks, creams and serums. 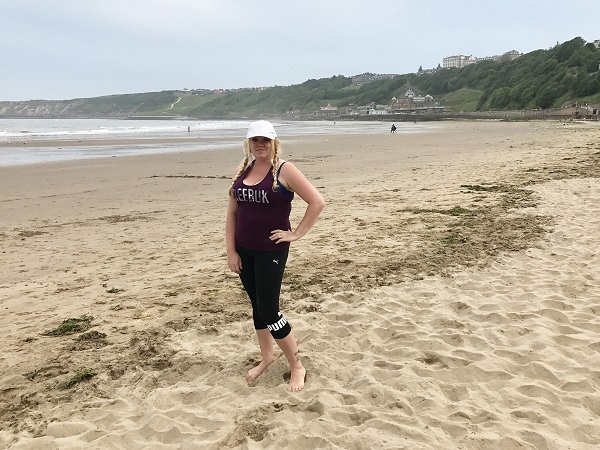 Last week, we spent the whole wee at the coast in Scarborough and during this time I managed to capture a whole range of photos of us all, and the surroundings around us. From playing on the beach and having fun, to family shots and unspoilt views. I do love taking photographs and although I'm no professional (taking them all on my iPhone!) I do love to try ad set the scene to get them looking just right. Instagram worthy indeed! Beach photos are a favourite of mine. Looking out over the ocean, with no one else in sight. Go at dusk and you get the most amazing lighting to work with, and can capture some of my best shots from there. Yoga is a group of physical, mental, and spiritual practices or disciplines which originated in ancient India. It has become popular as a system of physical exercise, however in Indians traditions, it is more than physical exercise; it has a meditative and spiritual core. 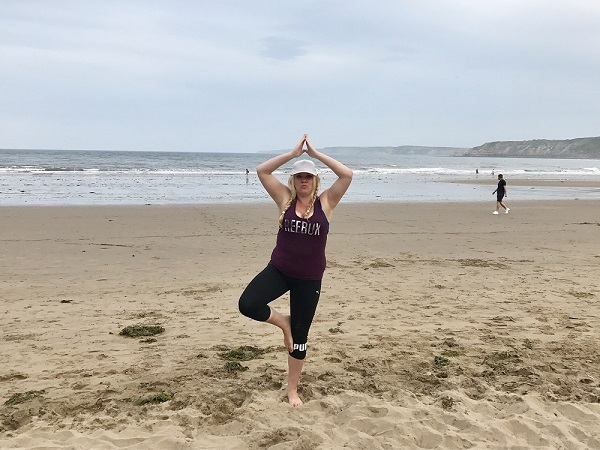 Yoga focuses on strength, flexibility and breathing, and the main components of yoga are postures (a series of movements designed to increase strength and flexibility) and breathing. I personally think it' just a great way of giving yourself a bit of space, clearing your head and giving a gentle exercise to the body. Character toys are a great way to get children learning through play with their favourite people. Peppa Pig is such a huge character and I'm sure all kids love her. 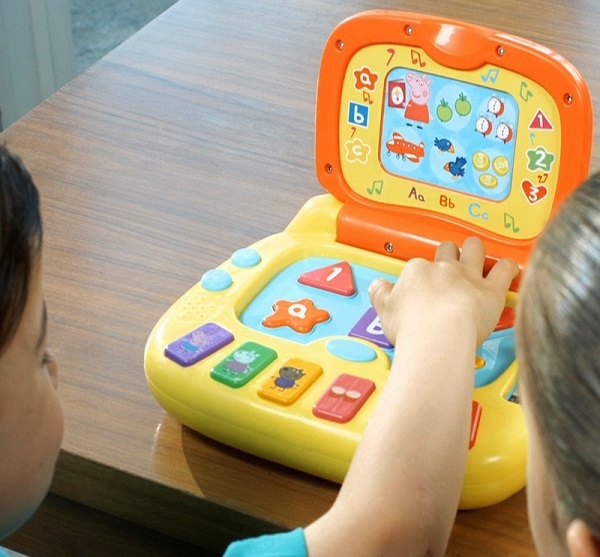 The Peppa's Laugh & Learn Laptop give children the chance to get busy on their very own laptop. With a lovely chunky design, it has fun shaped buttons and a backlit screen to help children engage with the toy and answer different questions and challenges. It features four different games modes to help with colours, numbers, letters and word recognition. The cute laptop also has a lift-up lid and carry handle for play on the go. The Peppa's Laugh & Learn Laptop helps with early number and colour recognition, building communication and vocabulary skills, hand-eye co-ordination and imaginative play. All children should be physically active for at least one hour a day (children over 5). This physical activity helps grow strong muscles and bones, maintain a healthy weight and build their confidence, and by encouraging your child to find activities they enjoy, you can build this physical activity into family life for you all to enjoy together. And it doesn't necessarily have to cost a fortune to do. 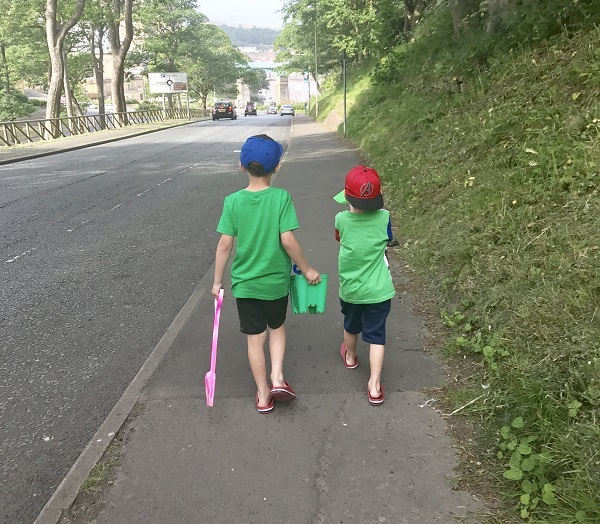 Yes, places to visit, obstacle courses, days out, adventures centres, can cost a lot of money, but as a family, we try to think of our own way around this. Making our own adventures, visiting free places and creating our own activities, that sort of thing. The general public is very well informed and knowledgeable regarding the dangers of smoking tobacco around children and babies. However, few parents and adults know if any dangers exist related to smoking e-cigarettes. The relevant question that you need to ask is whether it safe for you to use an e-cigarette around your kids as wells as what they safety aspects are regarding other people using it when your children are around. A few month ago I wrote about how we are converting our attic into a master bedroom and since then a lot has happened to help us on our way. We've had plans drawn up and sent off and I've also had the most important job of scouring Pinterest for the most amazing designs that we probably can never afford, to make the space into our very own bedroom. Now these planning stages aren't just about sending off the drawing to planning, but also about trying to work out how we can successfully convert the attic, making the most of all the available space whilst making sure it does end up looking like a bedroom once finished and not just a dark and dingy attic. I love eating out and try to do it as much as possible. It would usually consist of finding somewhere that serves reasonable food in a speedy time so that the kids didn't get bored and kick off. Now they're all in school and pre-school though, it gives the husband and I a bit more time to enjoy meals out together. A couple of weeks ago we were invited to Jamie's Italian Leeds Restaurant to give their food the once over. It's somewhere we've always said we'd try but that we'd never got chance to in the past so we really couldn't wait to get there. As a person who has been blogging for over 5 years now, I have had my share of people who just don't get it at all, and even my explanations does nothing for them. I usually get the 'oh, so you get free stuff then. I should start a blog' and wonder how cheeky people can be. You wouldn't say that to any other profession, so why mine? 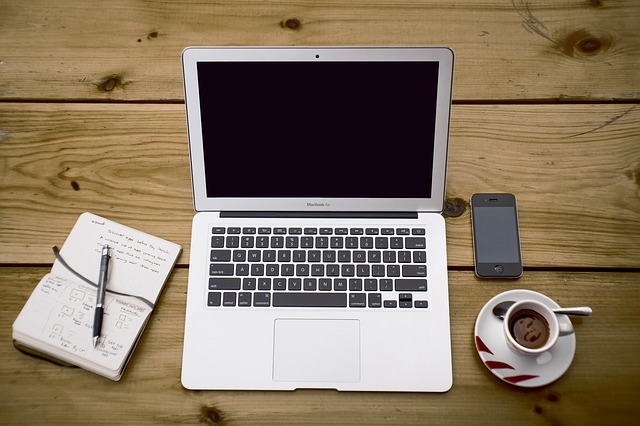 I can tell you something right now, blogging isn't easy! I got a press release the other day and it mentioned that Father's Day isn't as important as Mother's Day because it's Googled less, and it got me thinking, are we in an age whereby, if Google says something, we believe it? 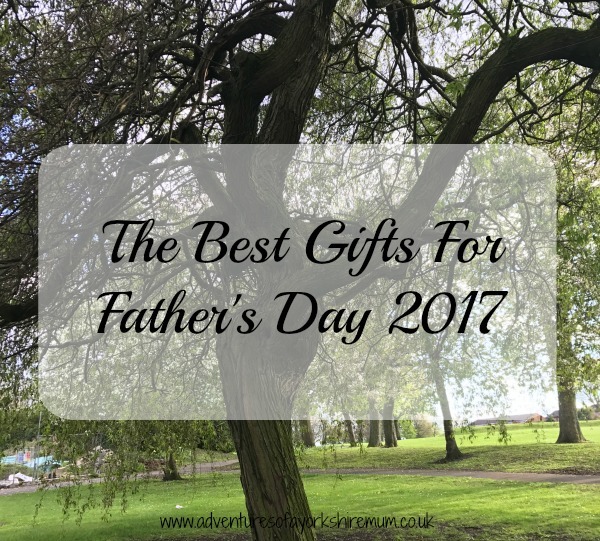 For me, Father's Day is just as important, if not more so, than Mother's Day. And I'd much rather my sons pick out something for my husband on Father's Day, than for me on Mother's Day. Anyway, I totally went off piste here but just wanted to point that out. So, let's get on with the show now shall we. I love the UK. It's like, going from county to county and seeing so much difference. Growing up, I've always lived in England and have visited Scotland maybe a handful of times, but never the other 2 countries on the UK - Wales and Northern Ireland. 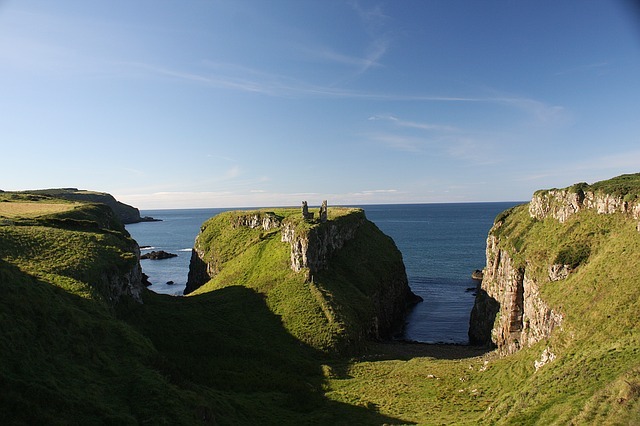 As my children get older, I want to make sure that they get to visit all of the amazing places that we have on our doorstep in the UK and my husband has especially always wanted to visit Northern Ireland. Over the years, my hair has been ever changing. From being thin and wispy when I was younger, to thick and luscious whilst pregnant. So, it's a shock when your hair starts to fall out once the baby is born. And to be clear this is normal! As every parent knows, organising a family holiday takes a lot of effort and planning. Gone are the carefree days of heading off at a moment’s notice. Canada is an increasingly popular destination for UK families and has loads to offer kids in a beautiful and safe environment. 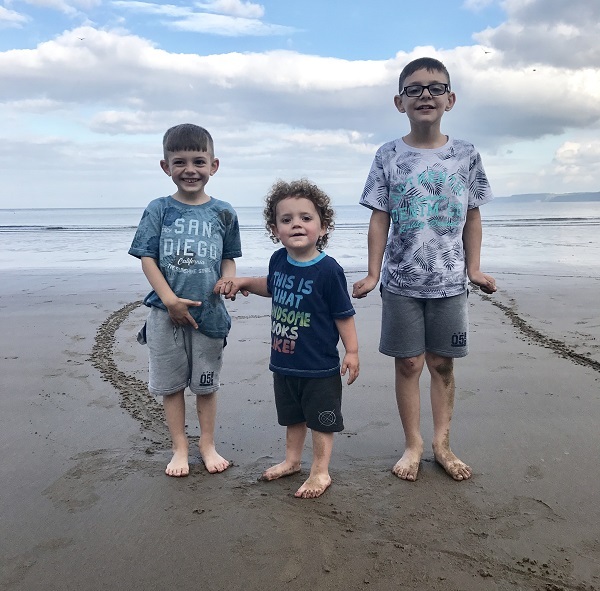 There is so much choice that it can be a little overwhelming so it is important to plan ahead and choose the type of holiday that will suit your family. Before you go you will need to get a Canadian eta and arrange adequate travel and health insurance for all the family. It is very common for kids to get ill when travelling and so this is vital for your peace of mind and for their safety. Packing is another concern and there is no such thing as travelling light when you have kids! The items that you take with you will depend on which of the following types of holiday you choose to book. I remember when I was younger, the thought of going into a soaking wet, and muddy field (cos' it's always raining in here Blighty!) filled me with dread and I always said that it would be something that I'd never do. Who would want to spend all that time scraping down mud laden clothing afterwards and rinsing out wellies. I mean, I don't even look good in wellies - they're just not my thing.